We wanted to share a grassroots grant opportunity that we believe would be of interest to ATLA members. 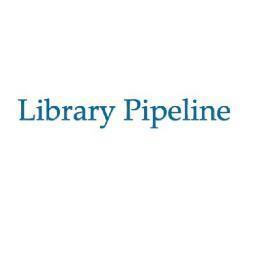 Facing the threat of diminished federal funding for innovative library projects, Library Pipeline has launched a new grant funded by individual donors. The Innovation in Libraries chapter of the Awesome Foundation will award monthly micro-grants to incubate small-scale library projects and experiments. Here’s how it will work: each month, innovative, library-related projects will apply for a $1,000 grant. These grants are funded by librarians, for librarians – a community of twenty “trustees” will give or direct $50/month each towards projects they deem worthy of support. Learn more about the grant here. Library Pipeline is also recruiting the first group of Innovation in Libraries Awesome Foundation chapter trustees — individuals who would personally fund the grant or make decisions about how sponsors’ funds should be disbursed. We invite you to spread the word within your library community and apply to be a trustee if you are interested. Trustee applications are due by February 15, 2017. Grant applications will be accepted starting March 1, 2017.